Stress is a natural part of life and was designed to protect our bodies from emergencies or threats. By releasing ‘fight or flight’ hormones when stimulated, the stress reflex can give you the push you need to flee from danger or to ready yourself for confrontation. However, many people experience stress in situations that are not a threat to their survival and the stress response gets out of control. Chronic stress involves repeated exposure to people or situations that cause us to release stress hormones. People who are in unhealthy relationships or work in high-pressure careers are especially susceptible to chronic stress and may find it affecting their overall quality of life. Breathing problems: When you have a stress response, your body attempts to distribute oxygen-rich blood to your organs through rapid breathing. If you have a condition that affects your breathing such as asthma or emphysema, stress can make it worse. High blood pressure: Another way your body tries to distribute blood to where it needs to go during times of stress is by increasing your heart rate. This can lead to high blood pressure and eventually to heart or blood vessel problems. Development of Type 2 Diabetes: When you need a boost of energy during stressful events, your body produces extra blood sugar. If this happens too frequently, your body may not be able to keep up with the glucose surge and you risk developing type 2 diabetes. Compromised immune system: Stress stimulates the immune system, which can be a plus in the short-term and helps you avoid infections and heal from injury. However, chronic stimulation will eventually weaken your system and leave you more vulnerable to illness, viruses, infections, and disease. Chronic stress is a factor in developing cancer, heart disease, and hundreds of other conditions. Busy professionals are at risk for chronic stress due to their high-pressure careers and the constant juggling of work with home and personal demands. It’s easy to burn out when you try to be a leader at the office all day only to come home and face making dinner, cleaning the house, and getting the kids to their after-school activities. 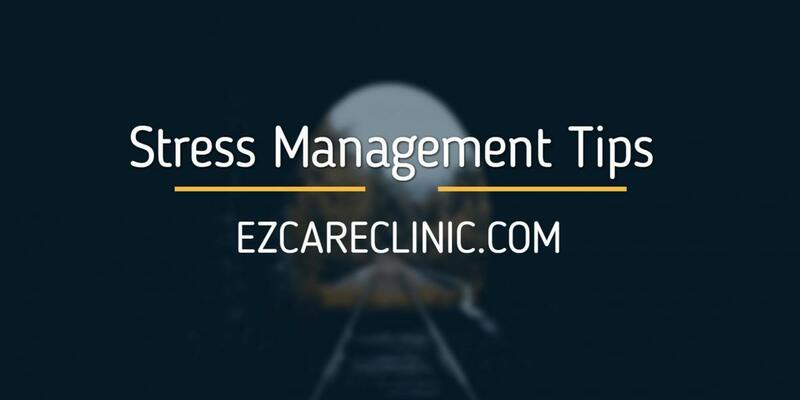 Here are some stress management tips that can help you cope. Build in time for yourself: It’s easy to put your own needs last when you’re a busy professional and parent. However, when you don’t take time for yourself, you never get a chance to unwind and release the buildup of stress. Try claiming one evening a week as ‘me time’ and spend it reading, taking a bath, walking, or performing any other activity you find particularly relaxing. Learn when to say no: It’s healthy to set boundaries at work, at home, and in your social circles. Many people create their own stress by committing to multiple activities or projects that take up all their time and energy. Choose projects that truly matter to you or that bring you joy and say no to the rest. Delegate or ask for help: Many professionals feel uncomfortable asking for help or delegating tasks as it represents a loss of control. It’s vital that you know when your plate is full and you need to bring others in on a project. In most cases, you can find someone at the office or in your circle who is more qualified for certain jobs than you are. When you ask for help, you reduce stress and sometimes end up with a better result than if you did the work yourself. Consider counseling: If stress management was easy, we would all be great at it! Unfortunately, stress can be tricky to manage and major lifestyle changes are often necessary to achieve real relief. Working with a counselor can help you identify the habits and thought patterns that are adding to your stress levels. A counselor can also help you create healthier thoughts and behaviors. There are a number of activities you can perform that will lower your stress levels. It’s important to choose activities that you personally enjoy and that make you feel relaxed and energized. Some activities that your friends or co-workers swear by may actually cause you to stress, so it’s imperative to find what works for you. Here are some activities that might fit into a low-stress lifestyle. Yoga: Yoga is a combination of controlled breathing, stretching, and mindfulness that has been proven to lower blood pressure and heart rate and reduce stress. Not only is yoga great for stress, but it’s also healthy for your joints and muscles and can be performed by anyone no matter their physical condition. Exercise: Everyone knows that exercise is healthy for their bodies and minds, but many don’t find time to incorporate it into their schedules. Something as simple as a fifteen-minute walk in the morning can be effective in reducing stress and improving cardiovascular health. Meditation: Meditation helps you deal with overthinking or negative emotions and gives you strategies to reduce stress and induce relaxation. Whether you choose guided meditation through apps or videos or just give yourself quiet time without distractions, meditation is a lifelong habit that has been proven to improve quality of life and overall wellness. Hobbies: What gives you joy and makes you feel good about life? Do you enjoy reading, painting, woodworking, or cooking? Developing personal hobbies is an essential part of a fulfilling life. When you have hobbies to look forward to, you are better able to handle the everyday stresses of life and will be better prepared to deal with especially stressful events. Our bodies were never meant to experience chronic stress. As a busy professional, it can be difficult to create a lifestyle that incorporates personal time for hobbies, meditation, or relaxation. However, once you realize the negative impact stress has on your health and happiness, you will see that it’s imperative to develop effective stress-manage techniques. If you need help managing your stress or would like to talk with a counselor, please reach out to one of our trained professionals. Traumatic experiences can be very devastating, they overwhelm you with sadness and stomp on you with frustration. We have all encountered a painful situation that we fear will never pass; no matter how small or complex it may be. We as humans have been genetically wired to get over bad times, bad moments, and bad situations… but what do we do in the meantime? What do we do with all the pain? What do we do with the depression and the anxiety and the misery and the sadness? Do we allow them take over and let all those feelings merge together to become a big cloud of depression ready to rain on our parade? Depression makes you think you are a failure, that life is not worth living, and that nothing good will ever happen to your worthless existence. Depression is sadness that runs you down until insomnia takes a gun and shoots you with suicidal thoughts and restlessness. There is no doubt in my mind that every second in which i let depression take the wheel, my life is slowly deteriorating. I remember when the saddest moment of my life used to be when my parents didn’t want to buy me my favorite chips at the store; and now as a young adult pain and regret have become a part of my everyday life. I always ask myself if there is something i can do to stop this feeling and i take antidepressants but they don’t stop the pain nor heal it; they just temporarily numb it. I tried to consult with my doctor to see if there was anything that could possibly improve my situation like erase my memory or tamper with my thoughts so i wouldn’t feel this way anymore but pills after pills after pills tend to leave you like a hopeless vegetable. I tried speech therapy for a while but hearing someone else’s problems and having them hear mine was neither comfortable nor helpful. After therapy i feel as if my issues are of no importance because other people’s problems are worse than mine which leaves me feeling even crappier because i seem like a whiny kid crying over a broken crayola while another kid doesn’t even have any. I try to incorporate positive music, healthy foods, and exercise to my daily routine and yet manage to maintain my streak of unsuccessful attempts to find a cure for sadness. I try keep a straight face and keep myself from looking down but i can’t help it; i feel so alone and no one seems to understand. Everyday i walk around pretending like everything is ok when it’s not, i go to work, school, gym, and home; it’s an everyday routine. I am bound and destined to wallow in sorrow….. And so i thought. One day i met this woman at the gym that seemed to be very happy; i mean this lady was oddly optimistic and just straight up carefree. It was tough to get the courage to ask how she managed to be satisfied and content with life… and yet i did. She opened up and spoke to me about how her daughter has passed away recently and she didn’t know how to take it in. She had been blaming herself and the world for taking her greatest love. Everyday after the passing she had been staying home, doing nothing, just waiting for life to pass her by. When her husband left her she realized she would have no one and become even more lonely than she already grown to be. She went through a lot to try to bring back the happy woman she once was but failed many times. She then decided it was time to let a medic take a look at her to figure out what was wrong and the physician let her know it was a severe case of a broken heart. The Physician had recommended her to get a pet that could help her cope with her emotional distress; And so she did. She explained to me that at first she was skeptical and didn’t understand how the dog she had decided to adopt could change her life. With time she had noticed herself smiling and starting to look at life with different eyes. She knows the dog did not change the fact that her daughter was gone but she also realized that the dog was allowing her to love again, to smile again, and to be grateful to be alive. I thank her for helping me realize that animals can be a great source of emotional support because if it weren’t for my doggy skipper i don’t know what would been. nextWhat Conditions Can Acupuncture Treat?